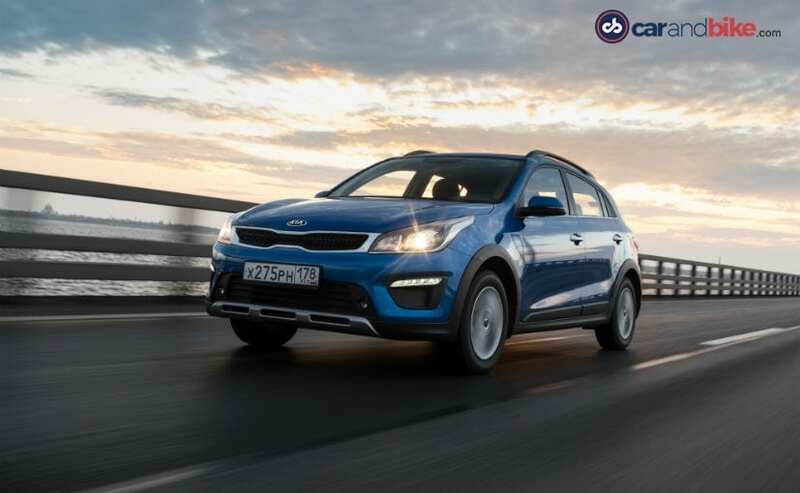 Kia Rio X-Line: Another Ideal Kia For India? First impressions on a unique and distinct body style offered by Kia on its Rio model line. The X-Line is the cross wagon avatar of the Rio that sells alongside the sedan in some markets. Could this be a unique product offer for India from the Korean chaebol? Our answer is a big yes. 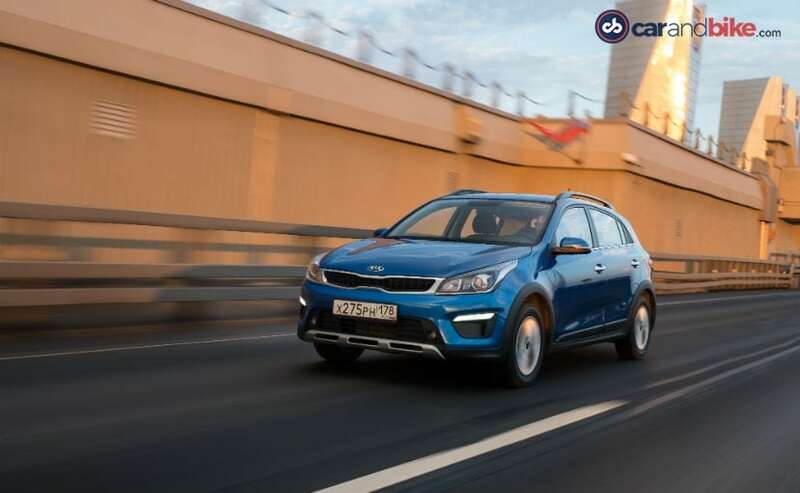 When I first drove the Kia Rio a few years ago, I thought it was a reasonably well-built, attractive hatchback with a good mix of practicality, comfort and some appropriate segment serving features. That was in Europe and was the last generation car. And yes it did feel like a first gen Hyundai i20 with a different skin. With this 4th generation Kia has upped that game, big time. And in some markets like Russia, the car has only gone in as a sedan and something Kia calls the Rio X-Line. The latter is essentially the station wagon version, but with 'cross' treatment. So, it has marginally raised clearance (30 mm higher at 170 mm) than the hatch, is 30 mm wider and with a 40 mm longer wheelbase too. Then there's the must-have plastic cladding to add to the rugged look, roof rails, and scuff plates built into the bottom of the bumpers. 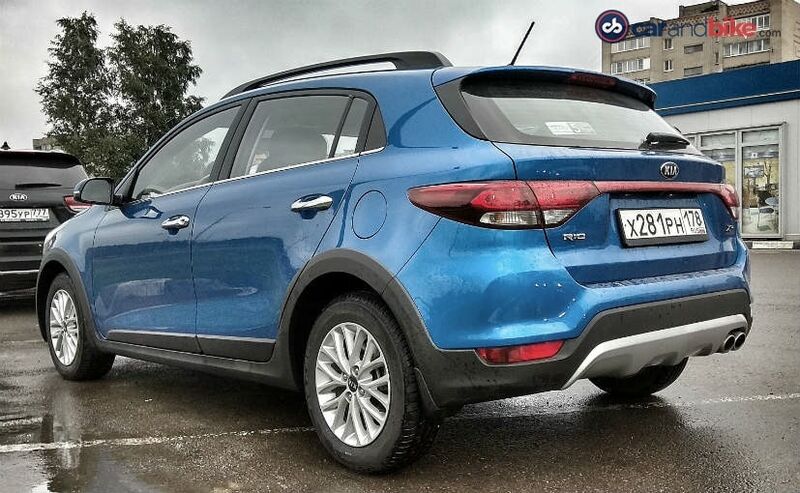 The car is also sold in China as the Kia KX Cross. And like I said the regular hatchback is yet to be introduced here to the Russian market. 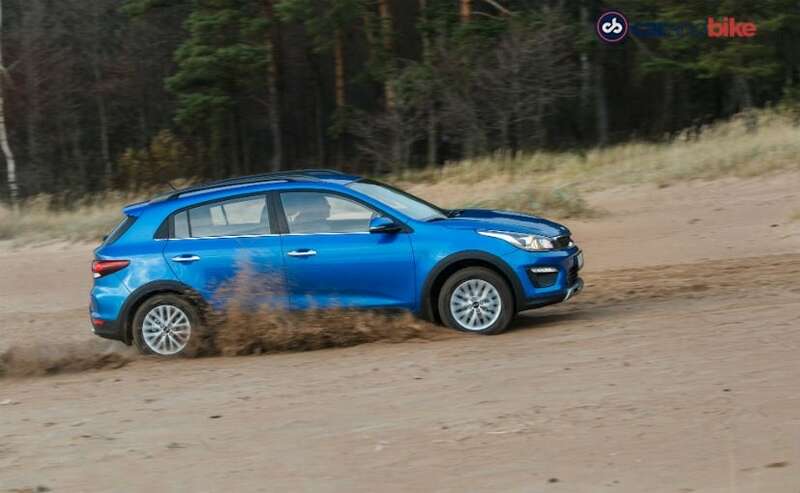 I had the chance to drive this car a few days ago in and around Moscow, and have come away wondering if Kia could pull off a similar gamble in India. That is to say - go sedan and cross wagon only, and leave out the hatch. Well, the hatchback is extremely capable and fun to drive, and so not getting that may well be a big miss. It will also mean Kia stays out of the party that sees big volumes for the now 2nd gen i20, Maruti Suzuki Baleno, Honda Jazz and the rest. So unless Kia does plan to bring us three body styles on the Rio model line, let me then make a case for us getting the cross wagon instead of the sedan! The Rio X-Line's biggest USP is that it will immediately grab your attention. It is very attractive - the Kia tiger nose grille, large sweptback headlamps, LED daytime running lights and a very appealing proportion. The rear is also smart, though there's nothing here that you haven't seen before. Those scuff plates do add to the car's presence as do the roof rails and matte aluminium coloured door handles. Yes the fact that my test car was Marina blue was helping me find the beauty in this design more easily I will admit! I'd have liked a chunkier 5 or 7 spoke wheel pattern to add to that rugged appeal, but the alloys on my test car were certainly not ugly. In Russia it is also offered in 9 colours that includes the blue I have and a nice bright orange. The car looks spacious from the outside, and is. The fact that you have the station wagon hatch at the rear means ample bootspace as well. The cabin is well laid out, roomy, finished surprisingly well, and the fabric covered seats and plenty comfortable. 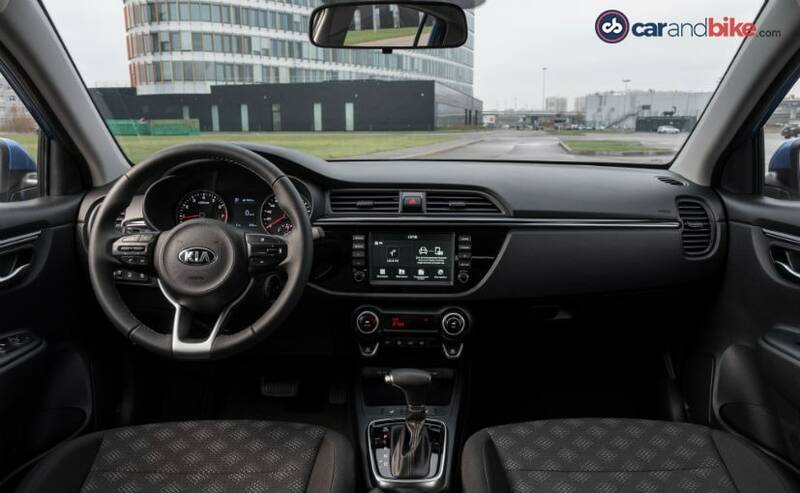 It gets the Kia staple infotainment touchscreen setup with connectivity (Apple CarPlay, Android Auto), navigation and vehicle or system settings. The instruments are akin to the hatch's and have the customary display screen between the dials with trip computer and other vehicle or environment information. The Russia spec has heated front seats and mirrors, though I suspect we won't need those, right? You also get dual airbags, ABS and even driver aids like hill start assist. 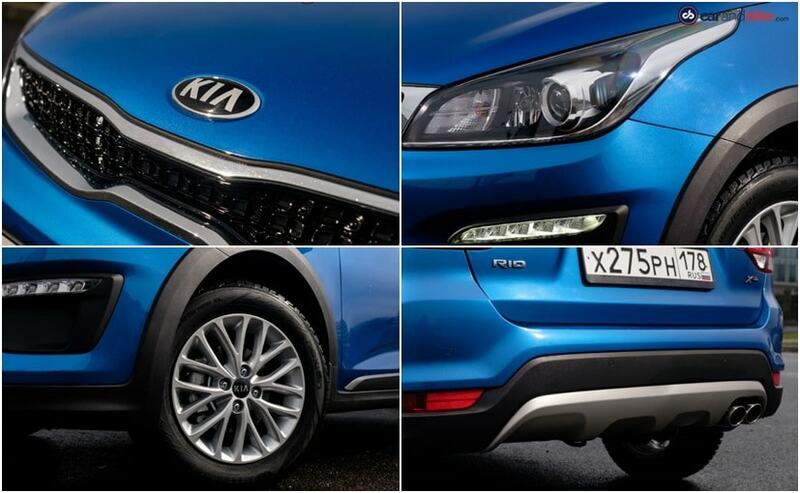 The second thing that will grab you the minute you start driving the Rio X-Line is the ride quality on the car. Despite the raised chassis, the car feels properly supple and you're not aware of its lengthened wheelbase whatsoever. The steering is a bit softer than what I'd have liked as it doesn't go with the chassis setup. Brakes are good, and overall the sense you get is of driving a European model with a fairly dynamic character. This is exactly what I said about the hatchback too when I drove it a few days ago isn't it? The car I drove has the 1.6 litre Gamma petrol engine mated to a 6-Speed automatic. The gearbox is good, and allows you to push the car hard even though its not a very torquey motor. Max power is 123 bhp, while peak torque sets in at 151 Nm. The engine responds quite well once its in the higher power band, though at low revs is a tad slow. The Russian model is also available with the 1.4 litre Kappa egine with 100 bhp on tap. But it is the sporty quality of this car is what will help set it apart from the regular premium hatch or compact sedan contingent. And of course it's a lot bigger than the other cross hatches like the Ford Freestyle for instance. So then comes the obvious question - if Kia did bring this car to India where would it be priced? Well in Russia its priced at what translates to approximately Rs 9-12 lakh. And that would indeed be the ideal position for the car here too. Anything higher and you start getting into Kia's Creta-like compact SUV territory. I can tell you it is in contention to find a spot on the India roster and so here's hoping it's a car we do in fact get, sooner rather than later.